MESH: The Smog and Fair Trade Promotion! The Smog and Fair Trade Promotion! 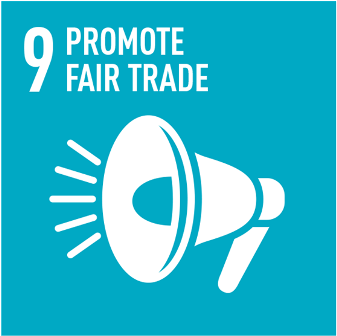 MESH encourages producer groups to promote fair trade locally. In the last few weeks four producer groups supplying MESH have conducted events to promote fair trade in their communities. 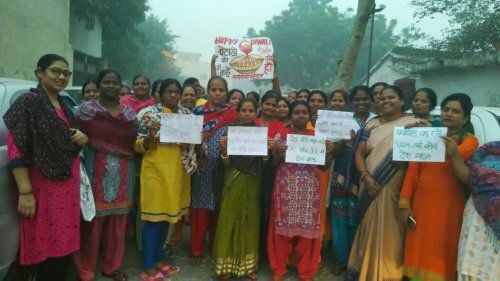 Anand Mahila Mandal, a women's society in a leprosy colony responded to a very bad bout of pollution in the city by raising the issue of the environmental impact of fireworks at the time of the Divali festival. They made their own banners and walked through their community finishing up with tea and snacks. Bethany Leprosy Colony combined their Christmas celebration with a march through their colony highlighting how fair trade is good for communities. Kiran Society set up a fair trade stall at an event taking the opportunity to show that people with disabilities can make beautiful products and highlighting the fact that fair trade shows a commitment to non-discrimination. 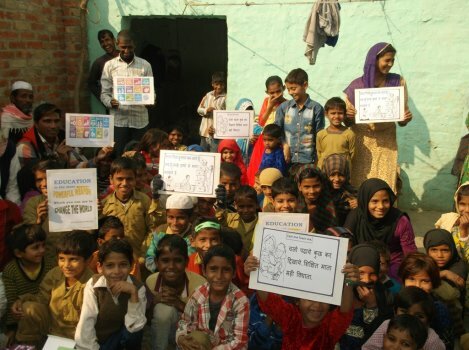 Khadim Handicrafts has a heart for the children in their neighbourhood. They called a meeting of parents and children to show that child labour is harmful to adults as well as children. Work that could be done by adults is sometimes given to children leading to adult unemployment. They also highlighted that children need education to cope with the modern world and as preparation for employment as adults. They distributed pencil cases, a note book and a basic primer to all the boys and girls that attended.